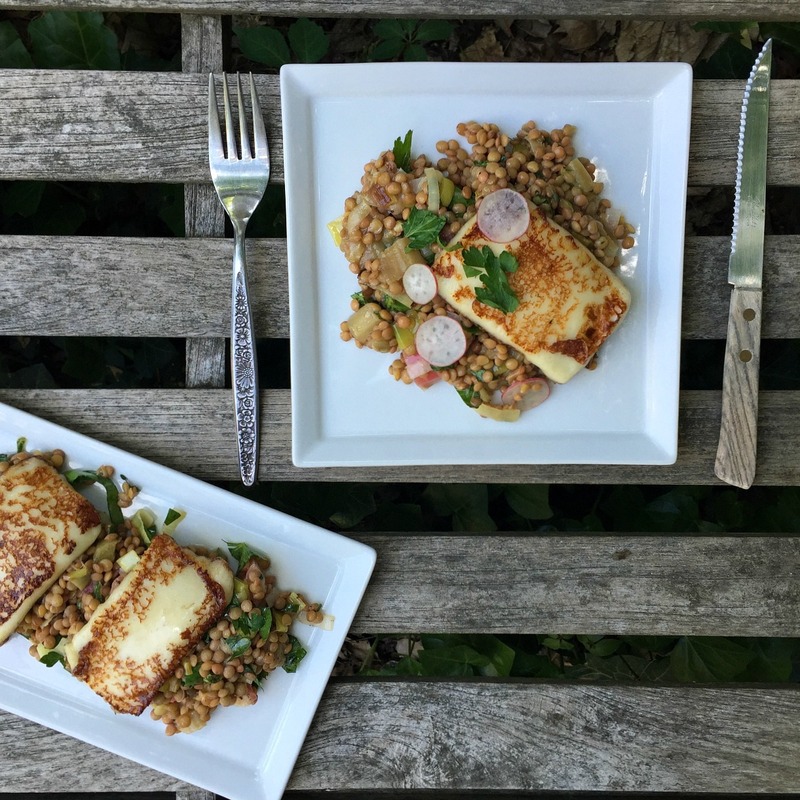 I had no intention of posting this recipe here—one that I quite literally just threw together little-by-little over the course of a couple of evenings (I am so not a weekday baker), hoping that it would work for a breakfast potluck we were having at work. I baked them off the morning of and piled the surprisingly substantial tarts, which were not even done cooling, in a Tupperware container that I left uncovered so they wouldn’t steam and turn from crisp to mushy. I ran to work in half the time it usually takes me, darting through the streets of my town with an open box of warm pastries. It couldn’t have looked as strange as that time I stuffed the remnants of a certain 3-layer cream cake into a bright blue cold-keeper bag and ran it around town in 90-degree weather. But it was still ridiculous. 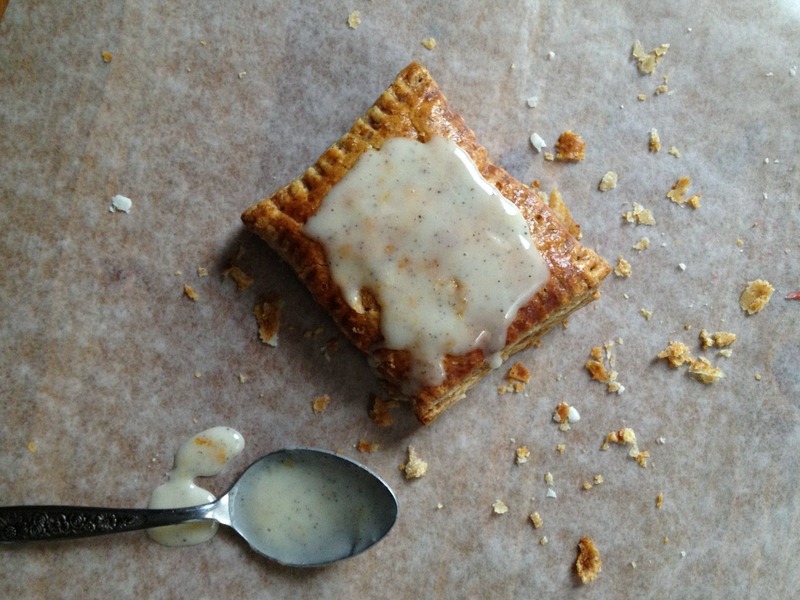 When I arrived, I threw spoonfuls of glaze messily onto just cooled-tarts and set them down. These are simple tarts, elevated perhaps because they’re encased in my very favorite pastry, whose nuttiness is a warm counterpoint to the clarifying tang of the simple rhubarb filling. But they were very well-loved (in fact there are still shards of their flaky, flaky layers gracing corners of our office), so I thought I’d share them with you, just in case you haven’t had your fill of the stalks yet (or they’re the only thing in your garden). And I’ll take any excuse to get more rhubarb on the blog. I just love the stuff. No. 9 Park, Boston, MA. Why go to that Barbara Lynch restaurant when you (and by you, I don’t mean me—unless I start a collection fund) can experience the tasting menu at newer, more daring Menton? But I assure you this old special-occasion standby is still turning out perfectly executed plates. Although the food is inspired by classics, each dish is still inventive—its fresh flavors shocking in their clarity. 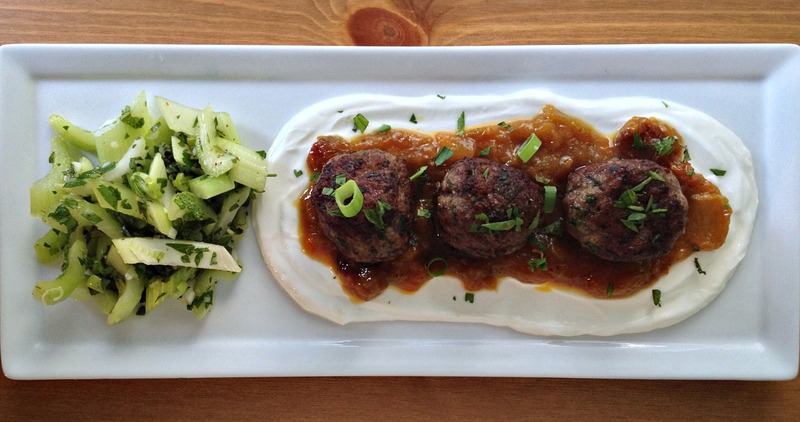 Each bite somehow manages to be simultaneously delicate and packed with flavor. 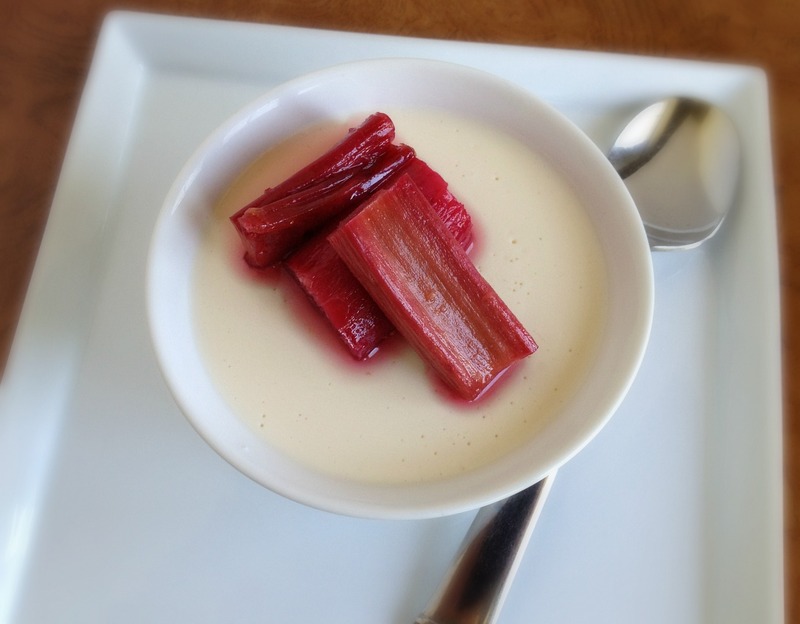 One of my favorite recipes on this blog is last year’s Honey-Cardamom Panna Cotta with Roasted Rhubarb. The tangy, fragrant yogurt panna cotta is a beautiful bed for tart, almost floral roasted rhubarb, a condiment I make and use until those long, ruby-pink stalks disappear. 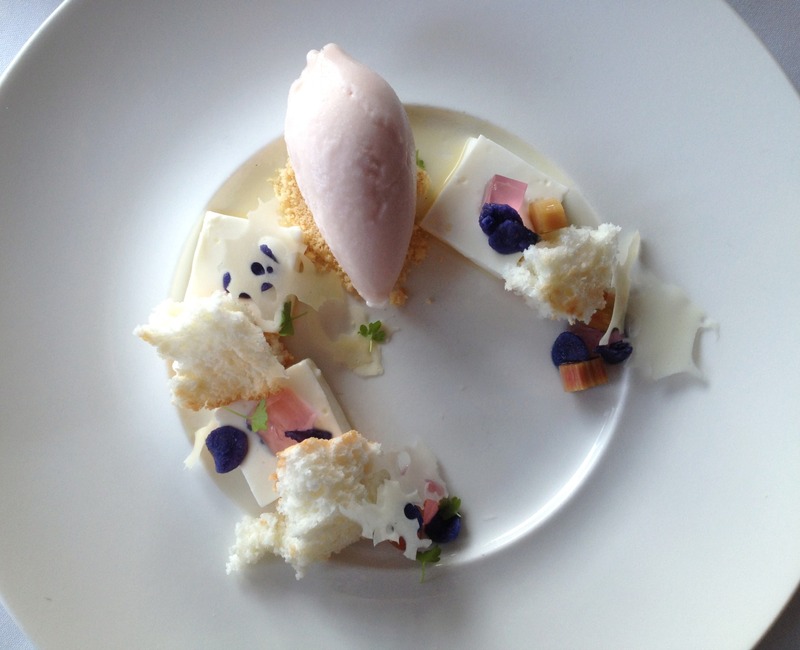 squares of goat’s milk yogurt panna cotta set in agave syrup, accompanied by rhubarb sorbet, dehydrated goat’s milk tuile, lilac angel food cake, diced rhubarb, rhubarb gelée, candied lilac petals. And because the plates were so damn pretty, there are some others below. I don’t think I’ve been bored since around 1996. Physically bored, that is. I don’t understand the idea of having nothing with which to fill time. Jaded, I get. Monotony, sure. Ennui, mais oui. I may not always enjoy or find meaning in what I’m doing. But, on the off chance that my to-do list is completely stained with the harsh boldness of my pen’s horizontal slashes, I can always find something to keep my mind turning. I guess this is a curse for many — the unfortunate result of a hyper-connected age. For me, it’s a lifeline. It’s not that I don’t appreciate calm or silence. I do! Man, do I ever, sometimes. But I’ve always been afraid of extended periods of nothingness, of white noise.